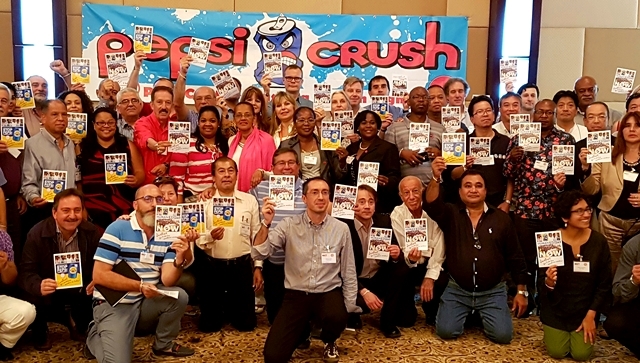 IUF HRCT affiliates say Stop PepsiCrush! International delegates to the IUF's hotel, restaurant, catering and tourism (HRCT) Trade Group Board meeting in Punta Cana, Dominican Republic November 10-11 show their solidarity with workers fighting for basic rights at PepsiCo facilities in Pakistan and Guatemala and the ongoing struggle for justice for warehouse workers at PepsiCo's warehouse provider in West Bengal, India. Stop PepsiCrush!